Vaccine pusher Paul Offit says aluminum supports a healthy fetus - have vaccine fanatics been brain damaged by toxic metals? 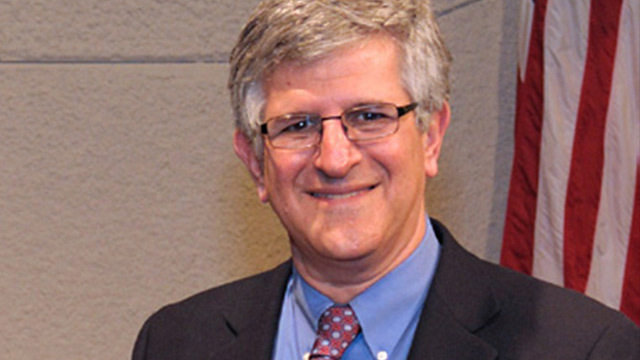 (NaturalNews) Maniac vaccine fanatic Paul Offit of Philadelphia Children's Hospital, who believes that a newborn child is capable of sustaining 10,000 vaccinations at once, now says that aluminum is an essential metal that plays an important role in the development of a healthy baby. Aluminum is considered to be an essential metal with quantities fluctuating naturally during normal cellular activity. It is found in all tissues and is also believed to play an important role in the development of a healthy fetus. This insanely ridiculous statement is clearly a foundational tenet of Offit's bizarre vaccine worldview -- and like most of his other pet beliefs, it flies in the face of sound science. Nowhere in the scientific literature (or anywhere in the history of rudimentary scientific understanding) has aluminum ever been recognized as healthy for the human body. But Offit, who currently holds a patent on an anti-diarrhea vaccine he developed with funding from MMR vaccine manufacturer Merck & Co., maintains that being injected with aluminum is no different from, say, eating an heirloom tomato, further crystallizing his status as one of the world's leading crackpot quacks, and a serious threat to America's children. Dr. Humphries' powerful presentation, which contains extensive peer-reviewed citations and references, completely annihilates Offit's insane ramblings about aluminum with ease. Study after study has proven, without a shadow of a doubt, that aluminum is toxic to virtually every system of the body, including the brain. A 2011 study published in the International Journal of Alzheimer's Disease reveals that aluminum is "a widely recognized neurotoxin." Aluminum "is not essential for life," explains the study, and it directly inhibits more than 200 biologically important functions and causes various adverse effects in plants, animals and humans. This same study illustrates how aluminum compounds directly cross the blood-brain barrier, embedding into key areas of the body responsible for energy production, gene expression and enzyme catalysis. But vaccines only contain small amounts of aluminum that are significantly less than the amount ingested through food and the environment, right? This common argument from the pro-vaccine crowd ignores the inherent difference between oral ingestion of aluminum and direct injection into muscle tissue. Dr. Humphries, citing research published in the journal Frontiers in Immunity, explains how, when a person eats aluminum, as little as 0.2% of it is actually absorbed, and nearly all of this is flushed out by the kidneys (assuming a person's kidneys are healthy and fully developed). Meanwhile, direct injection of aluminum via vaccines is 100% absorbed and isn't filtered out by the kidneys. "Al [aluminum] is NOT rapidly removed from muscle and then taken in blood to the kidneys for excretion," explains one of the slides from Dr. Humphries' presentation. "Infant kidney function is not at adult levels," it adds, noting that pumping young babies under two years of age with up to 5,000 micrograms (mcg) of aluminum can cause catastrophic damage to the body. Pediatrics studies outrageously claim mercury is good for children! This same type of nonsense is often dispensed with regard to the addition of mercury in vaccines as well. At least one study has suggested that thimerosal doesn't harm children's brains, while two separate studies published in the journal Pediatrics contend that mercury is actually good for children!